Symantec Endpoint Protection is an all-in-one security software for businesses of various sizes and includes anti-malware, firewall and intrusion prevention features. The security suite also offers features that help prevent data loss and fuses AI with critical endpoint technologies. The software not only actively blocks security threats, but also acts as a shield against more advanced threats of the future. Integrated cyber defense and multi-layered protection covers everything needed for endpoint protection, including behavioral analysis, file reputation and advanced machine learning. Symantec claims the software to offer the lightest and strongest endpoint protection that detects threats more accurately. The software reduces definition file sizes and bandwidth usage by up to 70 percent, while the cloud-lookup works in real-time and ensures faster scanning times. Comprehensive malware and intrusion protection and advanced firewall ensure endpoint protection. The software regularly scans endpoints for security threats and prevents unauthorized applications from running, while strict firewall policies help monitor network traffic more efficiently. It automatically blocks malicious traffic coming from a browser or corporate networks and takes advantage of the aggregate information obtained from other users to identify potential threats. Advanced AI and machine learning means low false positives, while the proactive approach towards detecting and removing current and future threats provides peace of mind. The administrative console allows IT admins to create and modify security policies for all departments such as excluding specific programs and files to from regular and on-demand scans. Although the software does not offer dedicated mobile scanning and management services, it does treats connected devices as peripherals and prevents malicious software from getting in. Powered by PGP, Endpoint Encryption provides enhanced endpoint data protection and offers powerful full-disk encryption along with support for removable media. The machine learning technology and real-time cloud lookup results in better detection and accuracy and significantly reduces scan times. Automatic updates reduce the total cost of ownership and require fewer IT resources. Endpoint Protection can be seamlessly integrated using the programmable APIs with Symantec Blue Coat ProxySG Web gateway and various other security controls. The admin console is available for Windows, Linux, Mac, embedded systems as well as virtual machines. Enterprises have unique wants and requirements and no software platform can be ideal in such a situation. It is useless to try to find a perfect out-of-the-box software system that fulfills all your business wants. The wise thing to do would be to customize the application for your specific needs, employee skill levels, finances, and other elements. For these reasons, do not hurry and pay for well-publicized trendy solutions. Though these may be widely used, they may not be the best fit for your specific needs. Do your homework, look into each short-listed system in detail, read a few Symantec Endpoint Protection reviews, contact the seller for explanations, and finally settle for the app that offers what you want. How Much Does Symantec Endpoint Protection Cost? We realize that when you make a decision to buy IT Management Software it’s important not only to see how experts evaluate it in their reviews, but also to find out if the real people and companies that buy it are actually satisfied with the product. That’s why we’ve created our behavior-based Customer Satisfaction Algorithm™ that gathers customer reviews, comments and Symantec Endpoint Protection reviews across a wide range of social media sites. The data is then presented in an easy to digest form showing how many people had positive and negative experience with Symantec Endpoint Protection. With that information at hand you should be equipped to make an informed buying decision that you won’t regret. 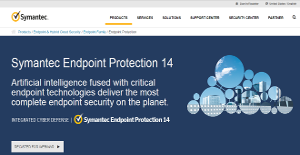 What are Symantec Endpoint Protection pricing details? What integrations are available for Symantec Endpoint Protection? If you need more information about Symantec Endpoint Protection or you simply have a question let us know what you need and we’ll forward your request directly to the vendor.